Pro-Collagen Marine Cream SPF 30 delivers the same firming, wrinkle reducing power, in the iconic, lightweight gel-cream texture of the original, plus next-generation micronized sunscreen particles.These tiny particles absorb the sun's rays, like a sponge, and convert them into safer infrared light, to protect your skin. Every particle is wrapped twice in a protective sphere, leading to highly efficient performance. These double-wrapped spheres have a negative charge, so they repel each other, like opposite sides of a magnet. This allows the sunscreen to spread easily in one smooth layer. 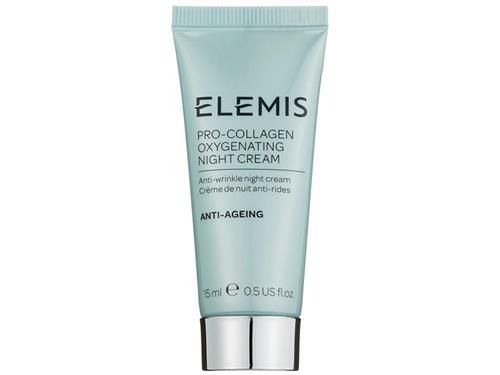 Tell us your thoughts about ELEMIS Pro-Collagen Marine Cream SPF 30 and receive 50 rewards points! I love the entire pro-collagen line, but this moisturizer is probably my favorite item. It perfectly hydrates my skin, without making it seem oily. I've had so many people actually stop me to ask what I'm doing differently because my skin seems to glow–I tell them it's all in the moisturizer. It's almost like a soft dewy glow, really pretty. I have mature skin which is normal to dry. Finding a day-time moisturizer that includes an SPF and is still rich enough for my skin is challenging. This does the job without making me look oily. Gives the skin a nice glow and lets makeup go on smoothly. I definitely recommend this product. I love this cream. I have used SkinCeuticals in the past, but the ELEMIS is a much richer yet lighter cream. 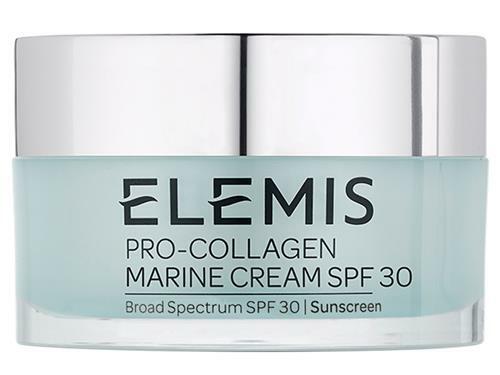 I love the Elemis marine cream and am particularly happy with their adding an SPF! I will continue to purchase this product.